“Working with Christen Buchert the Outer Banks Infant Swim and American Red Cross swim teacher is one of the very best decisions we ever made for Poppy, she is an incredible teacher and has saved Poppy’s life more than once! 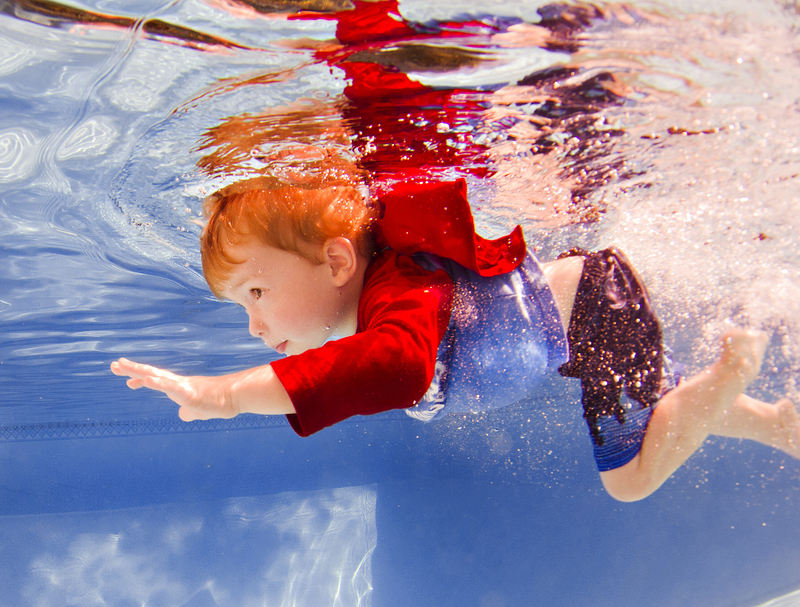 ISR teaches children as young as 6 months to float if they fall in the pool and as young as a year how to float, swim, float, swim until they reach safety! Each month during the summer we get together and photograph her students underwater showing off their amazing skills! Candace shoots from above water and I shoot underwater so we are able to capture their skills floating and rolling over. We encourage the families to bring props and wear brightly colored outfits, pinks, yellows, reds show up the best. Blues and greens tend to get lost in the background.” -Brooke M.
“We took a Disney Cruise back in Sept. and did the dolphin excursion. We were put into a deep lagoon, standing on a platform. I watched other children timidly step in and stay very close to their parents. Emma went splashing in, danced in the water the whole time and kept swimming off the platform into the pool with the dolphin. I kept having to reach out and pull her back! The dolphin trainer nicknamed her happy feet! Thank you for giving her that confidence!” -Doris W.
“When my children attend lessons with Christen, I know that they have her total attention for the time they are with her. Each child is different, and Christen has always been able to reach each of my children and see to it that they make real progress. They leave her lessons feeling good about their swimming abilities and feeling empowered to be smart and safe. In my experience, she holds her students to very high standards–I want it that way when it comes to water safety!” -Patty M.
“Both of my daughters have become stronger and more confident swimmers as a result of Christen Buchert’s swim lessons. They were so much more comfortable taking lessons at Christen’s home, with her daughters helping, than they have been taking other types of lessons in other environments. 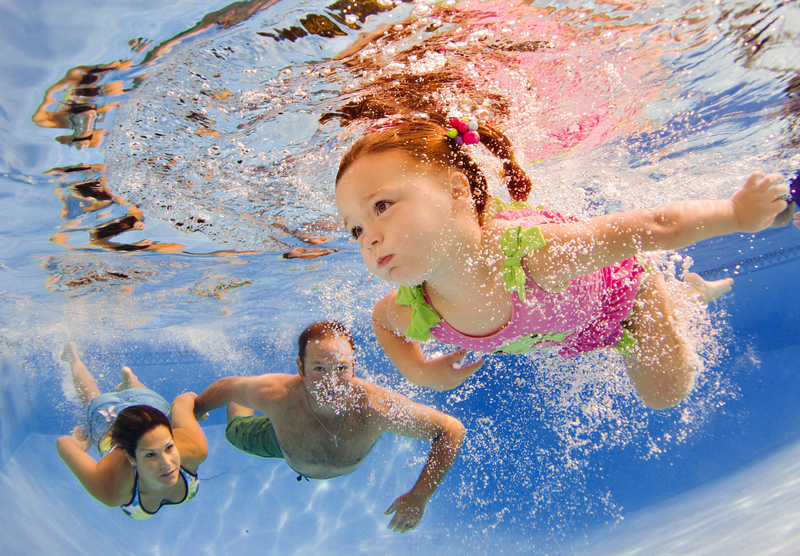 We highly recommend her to anyone!” -Lorna E.
“It says something in a small community to have a reputation that supersedes you and Christen’s reputation as being a highly qualified provider of swimming lessons and safety do just that. She has our utmost respect as parents for the care she shows towards our children as she gently instructs and builds their confidence in the water. We tell everyone we can about her. Whether you live near the water or not, giving your children the lifetime skills and healthy respect for water are invaluable. Christen is also a qualified CPR instructor, giving generously of her time when we needed to become re-certified as new parents. I love that she is my ‘one stop shop’ for all things related water safety education! And my children adore her!” -Heather M.
“My daughter, Myla, was 16 months when she started ISR lessons with Christen Buchert. Myla is now 2 and she will beginning a refresher course with Christen in May. There first thing I would like to say about Christen is she has such a calm way about her. Myla never felt afraid when she was with Christen. Christen was very good about adjusting her lesson based on how Myla was doing or feeling that day. Myla is now very comfortable in the water, and she loves to practice all that she learned. I look forward to watching Myla do her refresher course with Christen this May. As a parent, Christen has definitely eased my worries of having Myla around water, and Myla’s is so proud of herself!”-Annette L.
“Christen Buchert is an amazing swim instructor. I have been taking my children to Christen for 5 years and I am amazed at what she can do in just 4 days of instruction. My older children have been swimming for years because of Christen’s thoughtful and patient instruction. I am truly awed at her ISR instruction, though. Last year, my youngest daughter turned 2 years old just a few months before starting ISR class with Christen. We have a pool in our backyard and live 1 mile from the ocean, so swim instruction is a must. By the time Christen was finished teaching Bianca, she was swimming better than her 4 year old brother! I can tell you that the instruction works because Bianca did fall into the pool and was able to flip over, float and get herself to the side and out of the pool. My mother was watching Bianca and turned her back for a second when Bianca fell in. My Mom watched Bianca turn over and float in sequence until she was able to get to the side. It is such a relief to know that my children are able to save themselves because of Christen’s hard work. Christen customizes the number of classes based on each child’s learning ability. She will not rush the children through just to get the lessons done. Christen takes the time to be sure each child has learned what it takes to save him or herself. Christen, you really are trully wonderful. I started going to you back in 2005 with Anthony, he had fear of the water and of course didnt know how to swim. It took you only1 week for him to enjoy the water, started swimming and for me to see him happy and comfortable in it was priceless. Later along came Sage(5), Quentin(4) and Elijah(1)and of course they have been going to you for instruction since babies and with your ISR programm they did wonders, Elijah started swimming with you at 9 months and WOW he loves getting in the water. All my boys keep going back to you every year ,it’s been 7 years now and i will never change that routine. Anthony now (13) is doing his (Jr.) Lifeguard training with you this year and he is so excited! You are our number #1 reason all of them are here today, they know what to do in the water, around water and they will have it for the rest of their lives. Thank you very much for your hard work and for your dedication to each one. We love you! See ya soon!